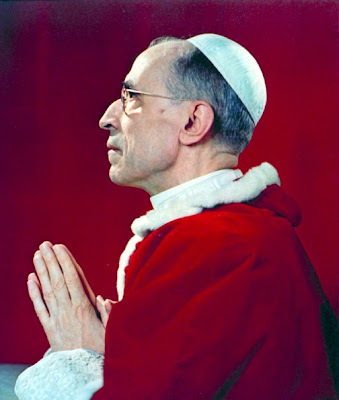 Now that the veneration of Pope Pius XII has ignited another firestorm of Catholic bashing on the part of those who persist in believing -- in the face of the Everest of evidence to the contrary -- that the Church in general, and Ven. 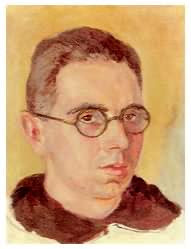 Pius XII in particular, did nothing to oppose Hitler, it seems the time is ripe for re-posting my honor roll of Catholic heroes from last spring -- with some additions (it is still a very short list). 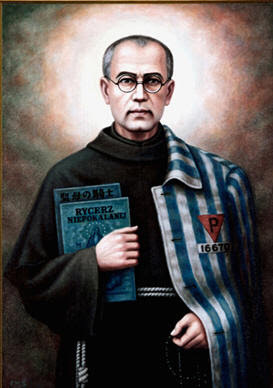 Franciscan priest, a prisoner at Auschwitz. In July of 1941, a prisoner from his barracks escaped; as a punishment, the guards chose ten men out of the barracks to be starved to death. One of them, Franciszek Gajowniczek, lamented for his wife and family; St. Maximilian approached the guards and offered his own life in place of Gajowniczek's. The offer was accepted. After three weeks of starvation and dehydration, St. Maximilian was dispatched by an injection of carbolic acid. The man he saved was later reunited with his wife (although his sons perished in the war), and lived to see the canonization of the priest who had given his life for him. When the Nazis arrested 120 citizens of Nowogrodek, Poland on July 18, 1943, the town's community of Sisters of the Holy Family of Nazareth unanimously offered in prayer to take their places. 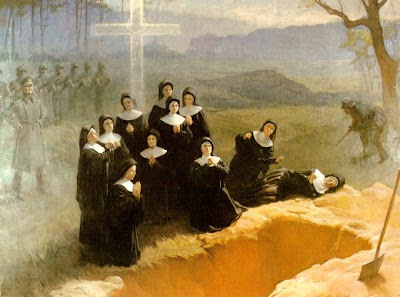 In the name of their community, Sister Mary Stella, their superior, begged God that if the sacrifice of lives was needed, to take their lives in place of the imprisoned, who included their chaplain. On July 31, 1943, all but one of the sisters was arrested; the following day, they were taken out to the woods and shot, and buried in a common grave. Meanwhile, most of the other prisoners, including their chaplain, were spared. 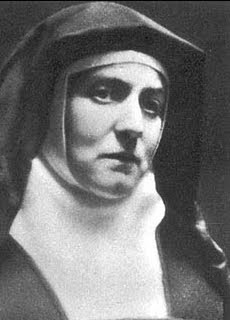 From afar, Edith Stein, who had been born and raised Jewish, discerned the fate that awaited her people at the hands of the Nazis. In 1933, she wrote: "I had heard of severe measures against Jews before. But now it dawned on me that God had laid his hand heavily on His people, and that the destiny of these people would also be mine." Six years later, in her last will and testament, the child who had been born on the Day of Atonement would offer herself up for the sake of atonement: "Even now I accept the death that God has prepared for me in complete submission and with joy as being His most holy will for me. I ask the Lord to accept my life and my death...so that the Lord will be accepted by His people and that His Kingdom may come in glory, for the salvation of Germany and the peace of the world." 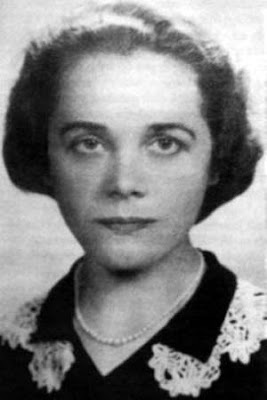 Although her order smuggled her to the Netherlands for her safety, she desired to share the fate of her Jewish brethren. This desire was granted on August 9, 1942, when St. Theresa Benedicta and her sister Rose, also a convert to the Faith, were murdered in the gas chamber at Auschwitz. Carmelite friar. When the Gestapo came to arrest some friars out of the Carmel in Cracow in December of 1940, Fr. Hilary volunteered to go in place of a sick, elderly friar. He gave himself to the care of dying prisoners at Dachau, and died of typhus in 1945 -- just days before the camp was liberated. A Dominican nun, Sr. Julia was interned in the Stuthoff concentration camp, where she gave herself to serving the Jewish women prisoners. She died of typhoid at the camp in 1945. Bl. Natalia Tulasiewicz was a teacher from Poznan, Poland. 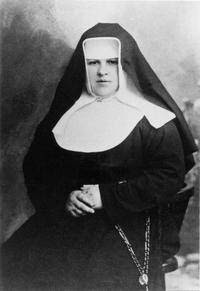 She volunteered to be deported with other women sent to do heavy slave labor in Germany in order to give them spiritual comfort. On finding out what she was up to, the Gestapo arrested and tortured her, and sent her to Ravensbruck concentration camp. On March 31, 1945 -- Good Friday -- Bl. Natalia used the little strength she had left to mount a stool and give the other prisoners a talk about the Passion and death of Jesus. Two days later, she was put to death in the gas chamber. Polish midwife, arrested by the Germans in 1943 and sent to work in Hell on earth, the "sick ward" at Auschwitz. She delivered more than 3,000 babies at Auschwitz, and made sure every one was baptized. Miraculously, despite the unspeakable conditions, she never lost a single mother or child in childbirth, though few of the babies survived the war. Despite threats on her life, she flatly refused to drown newborns, even facing down the notorious Dr. Mengele. 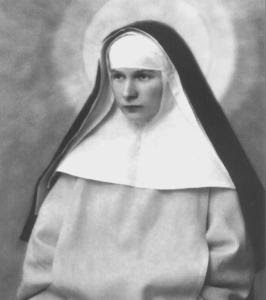 She died in 1974, and is still venerated in Poland. Evidence is being gathered for her cause for sainthood. Austrian farmer, husband and father of four. Jägerstätter was outspokenly anti-Nazi, and was the only one in his village to vote against the Anschluss (the annexation of Austria by Germany). After being drafted in the German army and serving for a brief period, he refused to serve any further, and was arrested. Though tormented by the fear that he was acting out of pride, and therefore condemning himself to damnation, he held firm. He spent time in prison before finally being beheaded, saying that it was better for his children to live without a father than for them to keep their father as a Nazi collaborator. Here are some excellent articles on the trials of this courageous martyr for the faith. A Franciscan Sister of Charity, Bl. Maria Restituta was born in Brno in what is now the Czech Republic. A trained nurse, she went to work at the hospital in Mödling, south of Vienna after World War I, eventually becoming the head surgical nurse. Her refusal to take down crucifixes that she had hung in the hospital, plus her writings critical to the regime, led to her arrest by the Gestapo on Ash Wednesday, 1942. She was eventually sentenced to death, and was beheaded on March 30, 1943. Here is the link to Pope John Paul II's homily on the occasion of her beatification. When Pope Pius XII ordered the convents and cloisters of Rome to open their doors to Jewish refugees in 1943, Bl. Mary Elizabeth Hasselblad, Bridgettine abbess, and her assistant, Sr. (later Mother) Ricarda Beauchamp Hambrough, an Englishwoman, sprang into action. Thanks to their efforts, Casa di San Brigida, became a refuge for more than 60 Jews during the war. Bl. 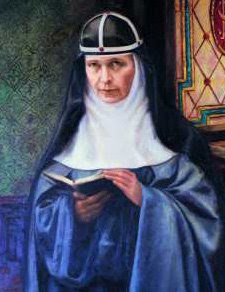 Mary Elizabeth died in 1957, whereupon Mother Ricarda, who died in 1966, succeeded her as abbess. Pope John Paul II beatified Bl. Mary Elizabeth in 1999; early last year, the Bridgettines petitioned Rome for permission to open a cause for the sainthood of Mother Ricarda, who played a leading role in this life-saving work. During the Nazi occupation of Poland, Irena Sendler used her position as an employee of Poland's Social Welfare Department to smuggle Jewish children out of the Warsaw Ghetto, to which her duties gave her access. While apparently conducting health inspections, Sendler hid children in boxes, suitcases, packages, trams, ambulances, and whatever else would answer the purpose, and got them out to various refuges and hiding places. In order to make it possible for the children to be reunited with their families after the war, she buried jars full of lists of their names. 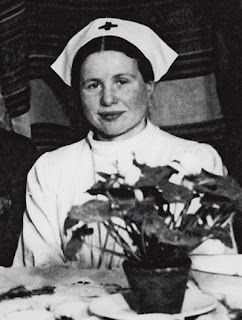 In 1943, the Gestapo caught Sendler, put her to torture and sentenced her to death; bribed by her friends, the guards whose task was to take her to her execution abandoned her in a wood instead, unconscious and with broken arms and legs. Officially dead, Sendler passed the war in hiding but continued her work. After the war, she dug up the jars she had buried and tried to reunite the approximately 2,500 children she had saved with their families; however, most of the latter had perished in the death camp at Treblinka. Sendler died in 2008 at the age of 98. Born in 1889 in Florence to a renowned German sculptor, Dietrich von Hildebrand was raised in a milieu in which natural gifts and virtues flourished in an absence of religion. Gifted himself with a brilliant intellect, the young von Hildebrand decided to become a philosopher, and studied first at the University of Munich, and then the University of Göttingen. 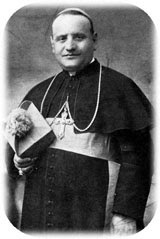 In 1914, he and his wife accepted Baptism and entered the Catholic Church. Von Hildebrand was an early and vocal denouncer of the budding Nazi party, and quickly earned a place of honor on their blacklist. When Hitler tried to take over Bavaria in November of 1923 (the infamous "Beer Hall Putsch"), von Hildebrand was compelled to flee, but returned after the putsch failed. When the Nazis came to power in 1933, von Hildebrand was compelled to abandon his property and his professorship at the University of Munich and return, penniless, to Florence, the city of his birth. Appalled and grieved at the confusion of those -- especially Catholics, and even Catholic clergy -- who failed to recognize the evil of the Nazi ideology, von Hildebrand determined to continue to wage war against it; later in 1933, he moved to Vienna and, with the backing of Chancellor Dollfuss, founded a magazine devoted entirely to attacking and exposing the intellectual underpinnings of Nazism and its first cousin, Communism. Von Hildebrand -- whom the Nazis had sentenced to death in absentia -- again became a refugee after the Anschluss and, after many adventures in Switzerland and France, made it to America in 1940. The author of a large body of theological and philosophical works (Pope Pius XII called him a "20th-century doctor of the Church"), von Hildebrand died in New Rochelle, New York in 1977. Chancellor Engelbert Dollfuss called himself the youngest (43) and the shortest Chancellor in all of Europe. 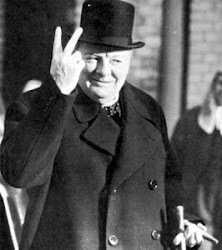 A devout Catholic, he was also the only European head of state to actively and openly oppose Hitlerism in the 1930s. In 1933, he met Dietrich von Hildebrand and agreed to provide financial backing for Hildebrand's anti-Nazi, anti-Communist magazine. Determined to preserve the independence of Austria, Dollfuss took stern measures in the face of Nazi and Communist attempts to take power. On July 25, 1934, as part of an attempted coup, Nazi assassins dressed as Austrian guards invaded the Chancery and shot Dollfuss. 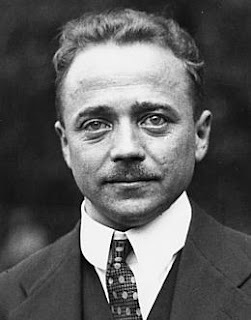 Dollfuss lay dying for seven hours, during which time the Nazis refused to bring him either a doctor or a priest; he breathed his last praying for his murderers. Bl. Clemens, a Count and a scion of one of Germany's oldest noble families, became bishop of Münster in 1933, the same year that Hitler came to power in Germany. He immediately became a thorn in Hitler's side with his vocal and unrelenting campaigns against Nazi racial ideology, concentration camps, forced sterilization, euthanasia, deportation of the Jews and the persecution of the Catholic Church. 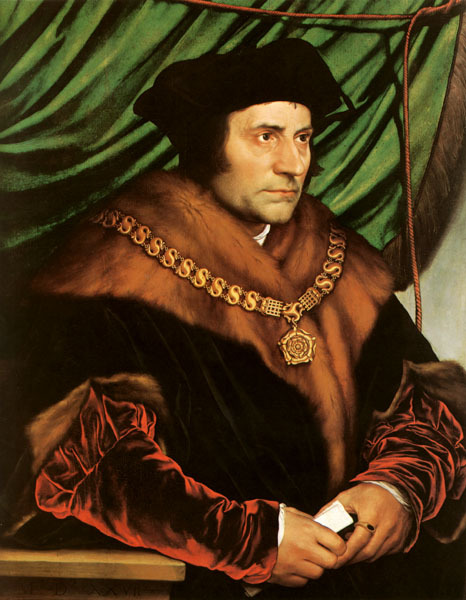 Copies of his sermons circulated throughout war-torn Europe. As much as the Nazis would have liked to be rid of this turbulent bishop, they did not dare to kill him. After the war, Bl. Clemens earned the wrath of the British by speaking out injustices perpetrated on the populace by occupying forces. In 1946, Ven. Pius XII created him a cardinal; he died a few days after his return from the Vatican of appendicitis. He was beatified in 2005, on the anniversary of Ven. Pius' death. Working from Istanbul with Chaim Barlas of the Jewish Agency Rescue Committee, Msgr. Roncalli arranged for false papers, transit passes, false baptismal certificates and other documents that made it possible for thousands of Jews to escape the slaughter in Europe. 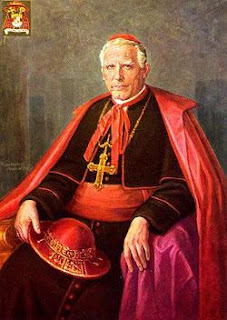 It is worth noting that when, after the war, Israel Anton Zoller, Chief Rabbi of Rome from 1939 to 1945, converted to Catholicism, he took the baptismal name Eugenio Zolli in honor of Pope Pius XII. No, it is not the Catholic Church that owes an apology for the Holocaust. If any apologies are owed, they are owed by people whose blind hatred of the Church makes them equally blind to the facts, and enemies of the truth. Anita, I don't have enough superlatives to praise this post, so I'll just say many thanks and God bless you for showing the truth again. When I was a kid in the late 40s and the 50s it was common knowledge that Pius, and many good Catholics and Protestants, did all they could to thwart the Nazis and their Godless regime. Keep reminding people! If you're going to take credit for the Catholics who acted WELL in the Holocaust, how can you avoid taking BLAME for the ones who acted BADLY, like Adolf Hitler, Heinrich Himmler, Josef Goebbels, Reinhard Heydrich, Rudolf Hoess, Julius Streicher, Fritz Thyssen (who bankrolled the Nazi rise to power), Klaus Barbie, and Franz Von Papen were all Roman Catholics, as were the heads of all of these NAZI countries : Leon Degrelle of Belgium, Emil Hacha of Bohemia-Moravia, Ante Pavelic of Croatia, Konrad Henlein of Sudetenland, Pierre Laval and then Henry Petain of Vichy-France. and the R.C. priest, Msgr. Josef Tiso, of Slovakia. (who wasn't even defrocked after the defeat of the Nazis). Although these were among the most visible Catholic lay people in their countries at the time, did Pope Pius XII excommunicate a single one of them? NO. How can anyone say that this pope did "all that he could", when he failed to take this obvious measure so as to make it clear to the millions of Catholic faithful who were enabling the Nazis to carry out their campaigns of mass murder, not only against Jews, but against their fellow Catholics in Poland, that they should have no part in these monstrous of crimes and most mortal of sins? Apologists for Pius XII who claim that their crimes caused these people to be "automatically excommunicated" miss the point that excommunication isn't intended to tell GOD who is a Catholic and who isn't but to tell THE FAITHFUL whom to shun. On the other hand, after the Nazis were defeated and no longer posed any threat to the pope, the Vatican, or the Catholic Church anywhere, did Pope Pius XII allow the Vatican to be used to protect thousands of Catholic war criminals such as the above to escape punishment for their war crimes? YES. Whose side was the pope on? Andrija Artuković, "the Himmler of the Balkans"
Ante Pavelić, head of Catholic Croatia, arguably the most murderous regime in relation to its size in Axis-occupied Europe. Hey Ray: you're a putz. Do you imagine that Hitler recruited the hundreds of thousands of people he needed to carry out the Holocaust he got them from Mars? I've figured out to my shame that he got them from the pews of the Catholic and other Christian churches of Germany, as 98% of Germans identified themselves as members of those churches at the time. Hey Ray: you're really a putz. 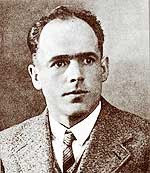 You do understand, don't you that when you celebrate the heroism of Franz Jägerstätter, who was one of only SEVEN German Catholics who defied the pressure from HIS CHURCH as well as his government in order to refuse to serve in Hitler's armed services, the reason for his heroism is that all the OTHER German Catholics DID SERVE ? Ray: the final two syllables of your last comment are absolutely correct. And when I say "your last comment," I mean your LAST comment. As in your FINAL comment. I've seen enough of you. Good bye. "Hitler recruited ...from the pews of the Catholic and other Christian churches of Germany, as 98% of Germans identified themselves as members of those churches at the time." REALITY ENTERS: Statistics compiled and maps rendered of pre-World War II census data by the polymathic Austrian Erik von Kuehnelt-Leddihn, in his classic work Liberty or Equality, The Challenge of Our Time (Caldwell, OH: The Caxton Printers, Ltd., 1952). --- One of the maps (Figure 2) exhibits the percentage of Catholics in Germany according to a 1934 census. The map clearly illustrates that the greatest density of the Catholic population is located in the southwest portion of the country and at its eastern tip. The remainder of Germany’s area is predominantly Protestant. Another other map presented (Figure 3) displays the percentage votes obtained by the Nazi’s in the election of 31 July, 1932. What is revealing is that the majority of the National Socialist votes were acquired primarily from those districts with mainly Protestant populations. If one were to superimpose these two maps (Figs. 2 and 3), it would be observed that for those districts where the Nazi’s obtained no or minimal votes, the agglomerated shape of those of regions almost exactly corresponds with where the majority of the Catholic population resided. What the statistical data reveal is that the Catholic populace did not vote for the Nazi’s. In fact, from 1920’s onward the Nazi’s received few votes from the Catholic population. For the Nazi’s to be elected, the nihilism had to reside elsewhere, namely in the Protestant electorate. Interestingly, it came specifically not from conservative Protestant sectors. Rather, it originated from the left-liberal, uncommitted “democrat” Protestant areas. In fact, a look at the number of deputies voted in elections during the Weimar Republic (May 20, 1928; September 14, 1930; July 31, 1932, November 6, 1932; March 5, 1933) shows that as the number of National Socialist deputies progressively increased from 1928-1933, the number from leftist-democratic parties correspondingly decreased, whereas those voted in from non-Nazi, conservative monarchist parties remained relatively unchanged. Keep drinking the Kool Aid, Ray, and thanks, once again, for all your virulent anti-Catholicism. One again, another buffoon demonstrates the Truth that is the Catholic Church. Anita, brilliant post from a brilliant lady! Poor old Reverend Bigot Ray displays his self-contradiction once again. He pretends that German apostates are still Catholic but overlooks the obvious corollary that - by that reasoning - he, the "Rev" Ray must also still be Catholic, since he , too, is an apostate! TH2, I was just waiting for your contribution! First rate. Tribunus, thank you. Your post on the other side of the coin was also first-rate. And thanks also to Bob and VSO. Wow! A great post that I will bookmark. And I only learned of your blog today. We have recently awakened to our Jewish ancestress, who by their telling renders me and my daughters Jewesses. Imagine. In fact, I am a happy Catholic, but I find our historical connection to Judaism intriguing. A couple of weeks ago, dd#2 stood in front of the balcony in Vienna where Hitler (who btw excommunicated himself!) gave his big speech. It occurred to her that if my Jewish great grandmother had remained in Europe, she (my daughter) might not be alive today. JP, I'm glad you found the post helpful. I do have to commend Ray for not coming back and posting again after I told him he was no longer welcome to post here, and thereby forcing me to enable comment moderation. It takes such courage adn brilliance for Catholics to bash a person who is being gagged by their holy mother superior!